Dysgraphia is a deficiency in the ability to write, regardless of the ability to read, not due to intellectual impairment. The handwriting of a dysgraphia sufferer makes it apparent that there is a problem. But handwriting is only one of the dysgraphia symptoms. The dysgraphia definition doesn't give a complete picture however. People with dysgraphia are known to have issues with other things, like shoe tying, that also require fine motor skills. Since many people suffer from poor handwriting, people affected by dysgraphia often have to look at other tasks requiring the same skills to identify the pattern. The best way to is to understand that solving it is a process. During the process, it is also helpful to understand that the child can still be learning and participating at the normal pace - with some adjustments. Consider how helpful it would be for a student to have access to a keyboard to do assignments. How about a scribe that would write as your child speaks the answer. Even shorter assignments can make a difference. In order to allow your dysgraphia students to do these things - truly consider the goal. Will they still be able to learn? 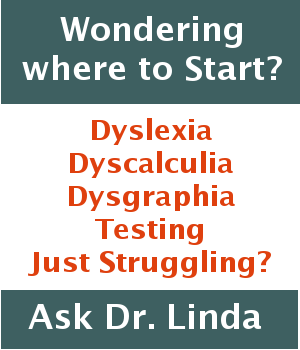 Dysgraphia doesn't have to slow down your whole world. Plus, think how confident the student will be after conquering that setback.